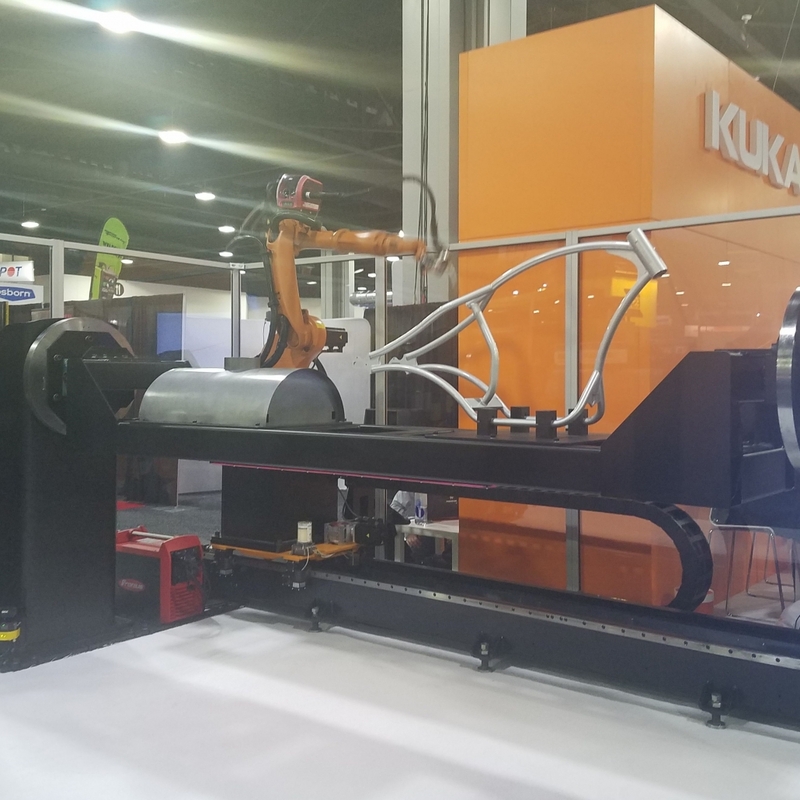 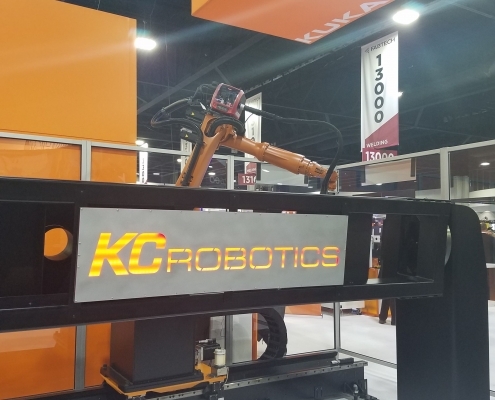 Visit KC Robotics’ employees as they demonstrate a welding cell in the KUKA Booth at Fabtech 2018 this week. 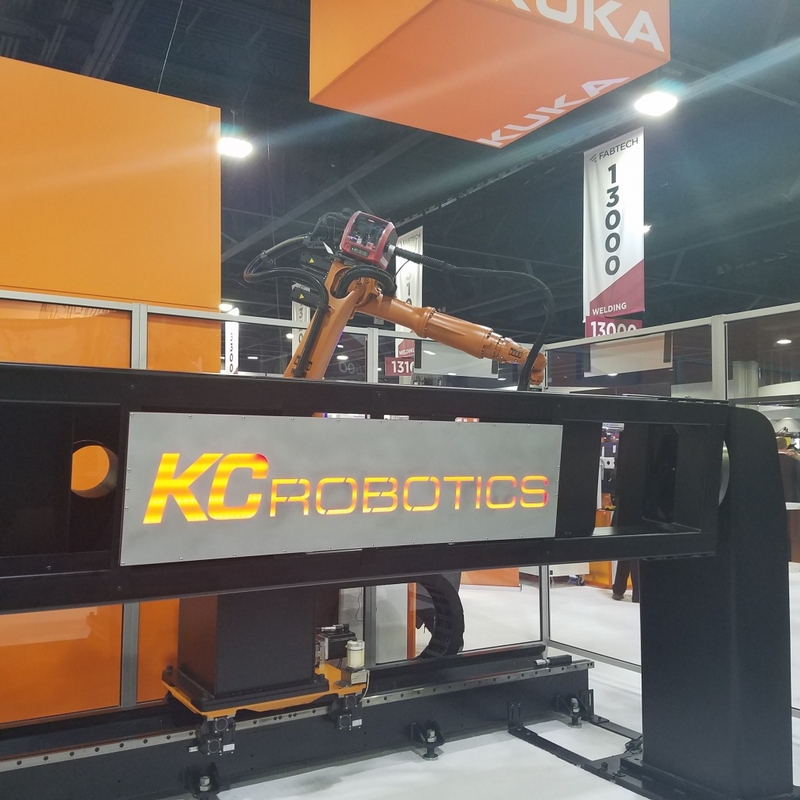 The demonstration includes a KUKA KR6-L16 robot on tracks with headstock and tailstock, safety scanning, coordinated motion and laser tracking. 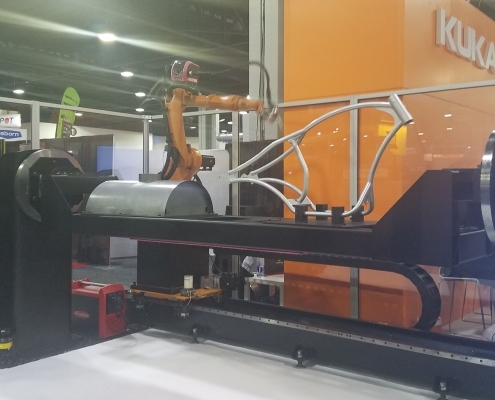 Fabtech runs November 6-8 at the Georgia World Congress Center, Atlanta, GA.